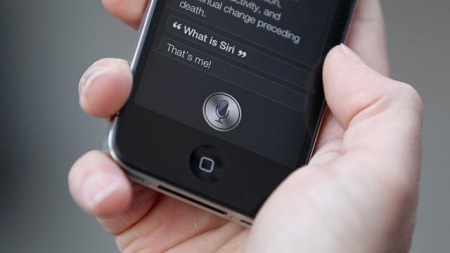 A Brooklyn man recently launched a class-action lawsuit against Apple over Siri, the popular personal digital assistant on the iPhone 4S, claiming the feature can’t understand directions, locate nearby stores, and often produces incorrect answers. This poorperformance has led Frank M. Fazio to allege that Apple’s advertisingcampaign for Siri showing people using Siri tohelp them learn to playmusic, find local restaurants and schedule appointments is misleading.Fazio bought an iPhone 4S in November for $299(presumably the 32GBmodel), and claims he would not have shelled out that much money for anew iPhone if not for Apple’s Siri advertisements. Class action suit claimsSiri ads were misleading. “TheiPhone 4S’s Siri feature does not perform as advertised,” the complaintfiled in the U.S. District Court of Northern California reads. “…Siriis, at best, a work in progress.” Apple, in fact, has said the samething about Siri, calling it a beta feature. As the lawsuit points out,however, Apple does not always mention this in its promotional materialtouting the feature. Whether Apple’s claims are misleading hasyet to be decided, but Fazio is part of a growing chorus of discontentover Siri. Despite an initially positive reception from reviewers whenthe iPhone 4S launched in October, users and critics have raisedcomplaints about the iPhone 4S’ oft-hyped feature. The biggestcomplaint is that Siri requires an Internet connection to functionsince most of the heavy-duty processing is done on Apple’s servers andnot the phone itself. So if you are without connectivity, Siri will notwork. And the phone doesn’t even have a backup feature, such as theiPhone’s old voice control features, for basicSiri-like functions suchas voice dialing. Siri’s connectivity limitations were highlighted inNovember when Apple suffered an outage that knocked Siri serviceoffline for about a day. Siri is also having a hard timeunderstanding non-U.S. English language accents, according to claimsfrom users overseas. Apple’s recent introduction of Siri in Japanese isalso off to a rocky start, according to Kotaku. Perhapsthe most troubling claim about Siri comes from Cult of Mac, arguingthat Siri is broken and is actually performing worse now than when itfirst launched. Citing comments by Apple cofounder Steven Wozniak, theApple-centric blog says Siri is often returning poorer answers than itdid a few months ago for questions such as “What is the average heightof an American male?” The problem may be that Apple is having troublekeeping up with demand for the service as it expands across the world,resulting in poorer performance, Cult of Mac says. Despitethe criticisms, however, many users still love to use Siri on a dailybasis and the feature has inspired app makers to create similarservices for competing platforms such as Android. Google is alsoreportedly working on its own Siri solution for Android. Connectwith Ian Paul (@ianpaul) on Twitter and Google+, and with Today@PCWorldon Twitter for the latest tech news and analysis.